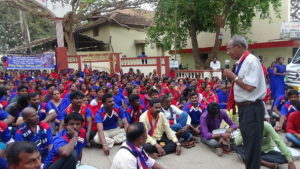 In March 2016, Safaikarmachari Kavulu Samithi (SKKS) in collaboration People’s Union of Civil Liberties (PUCL-Karnataka), JAC, SJK, Samanatha Union, SC/STs Pourakarmika Union and various district level organizations organized a state-level jatha (campaign) to create mass awareness about eradication of manual scavenging practice and demanding the implementation of PEMSR Act 2013. The jatha aimed at mainstreaming issues of Manual Scavengers and mobilizing public opinion in favor of eradication of practice of manual scavenging. The demands raised by the jatha including implementation of rehabilitation schemes under PEMSR Act 2013. 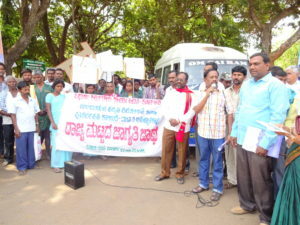 The jatha which began on 22 March covered 20 districts of the state. 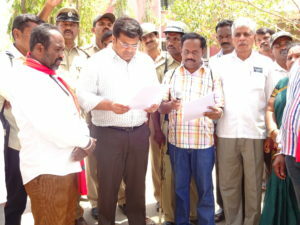 The jatha was also video-recorded as part of a documentary on the issue and the footage from the final rally has been used in a Kannada film titled Amravathi (released in 2017) which raises the issues of contract safaikarmacharis. 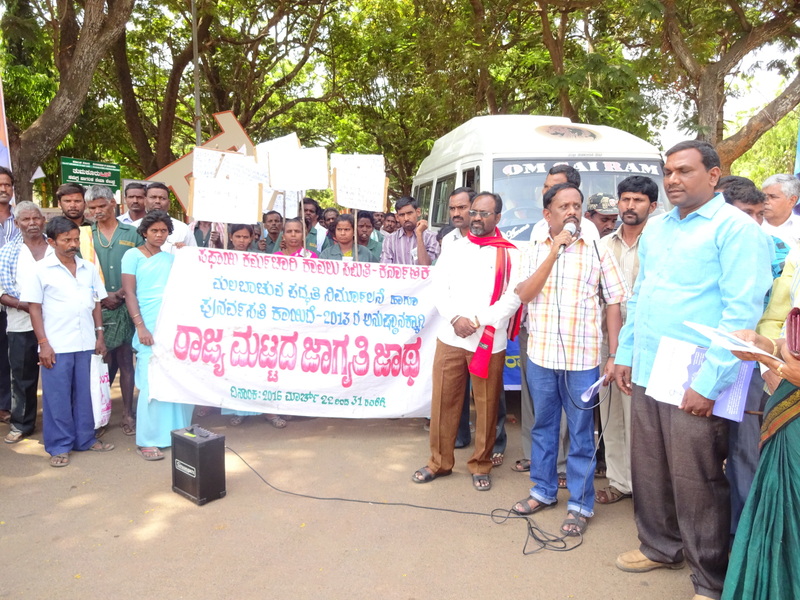 The jatha released an open letter addressed to MPs, MLAs, MLCs and Ministers, drawing their attention towards the recurring deaths of MS, deliberate denial of their rights and entitlements because of negligence of officials in the implementing MS Act 2013. 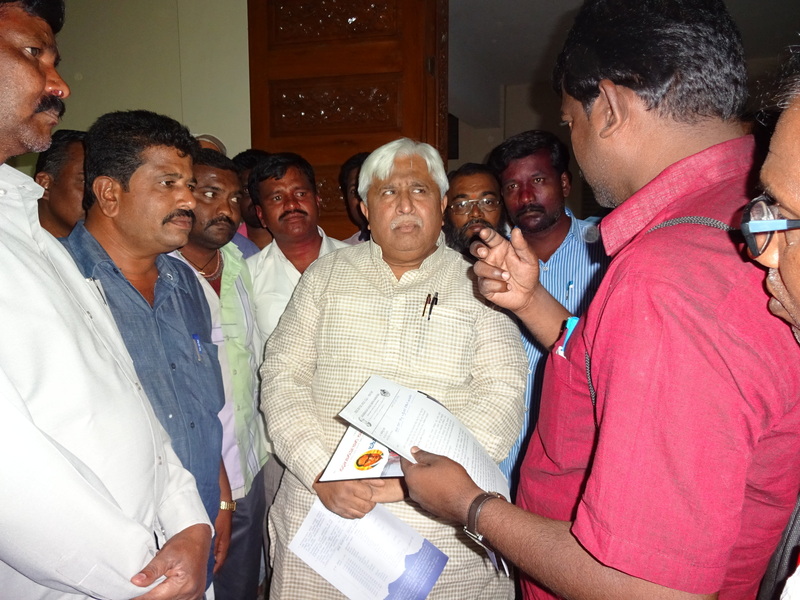 Mr. H K Patil, Minister for Rural Development & Panchayat Raj received the memorandum during the jatha and assured to issue notification for conducting full-fledged survey as per provisions of PEMSR Act 2013. The jatha concluded with a state-level protest on 31st March in front of Chief Ministers’ residence in Bengaluru after which a delegation met the Chief Minister and submitted a memorandum of demands to him. 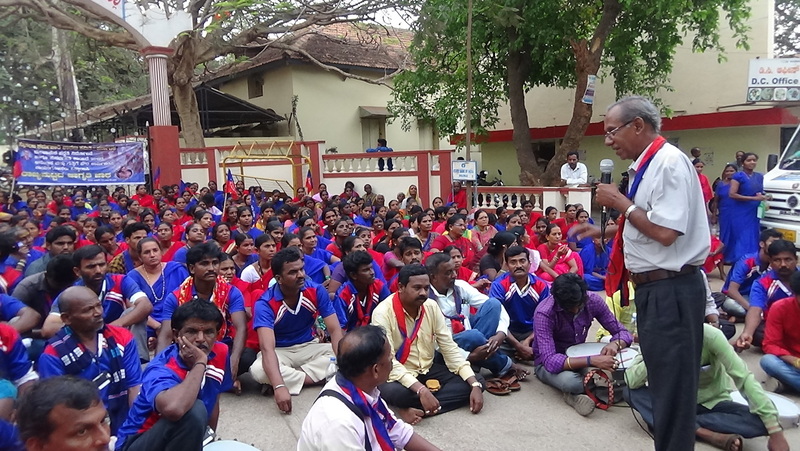 The State Government announced the formation of an independent Karnataka State Safaikarmachari Development Corporation (SKDC) for the welfare and rehabilitation of safaikarmacharis and manual scavengers, with initial budget allocation of Rs. 25 Crores. The State Cabinet also took a decision to prepare a draft bill for special recruitment of contract safaikarmacharis thereby regularizing their services fixing the deadline of March 2017 for its implementation.